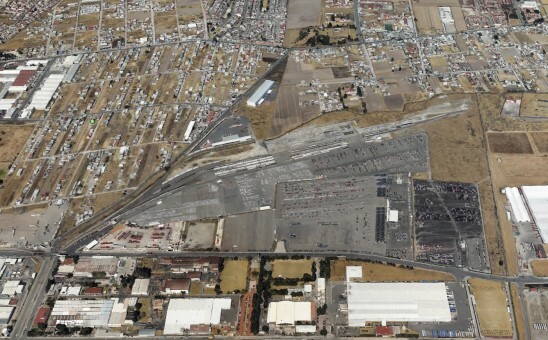 For the planning, design and construction of Mexico’s largest inland rail freight terminal, TFM chose TransDevelopment to provide advisory and development management services. Using a fast-track design and construction management approach, TransDevelopment completed the steel warehouse to launch partial vehicle loading capabilities by November 2002 — just six months after initial design engineering work began. The project includes a state-of-the-art intermodal terminal, a new automotive facility to support the adjacent Chrysler Toluca plant, a steel-handling warehouse and a large integrated logistics center for rail-to-truck cargo. Originally planned and budgeted by TFM to cost more than $52 million, the project came in $7 million under budget in large part due to TransDevelopment’s planning and design approach. Progressive Railroading magazine featured the Toluca project in its January 2003 issue.